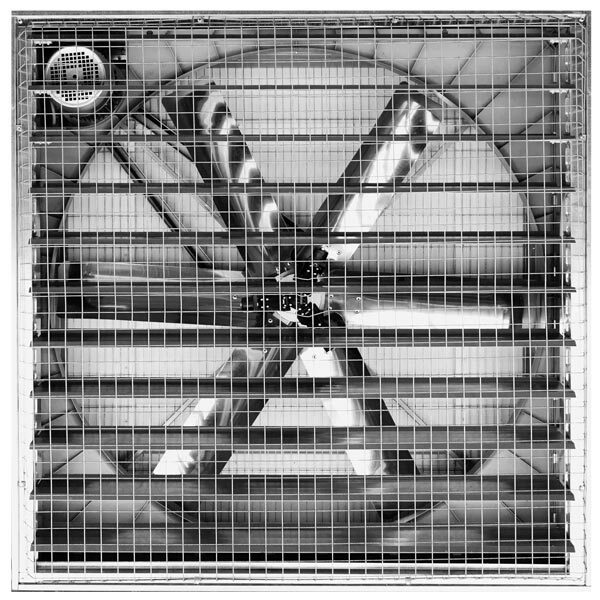 The HV wall mounted fan is designed to ventilate large buildings where high air volumes are required at low pressure. 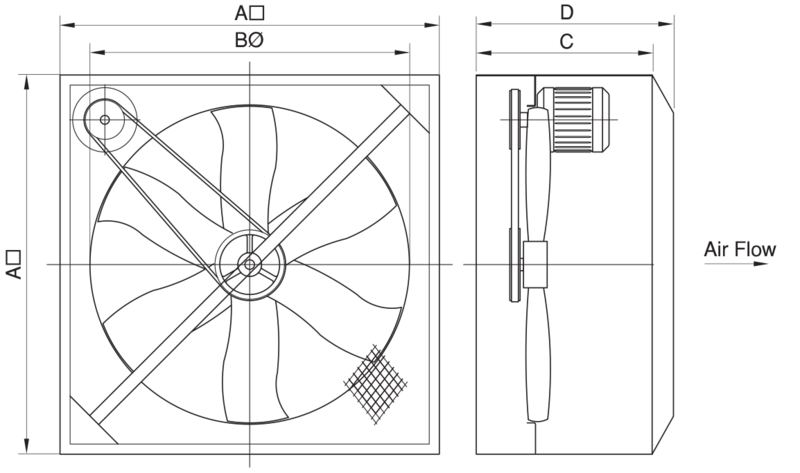 Comes with heavy duty mechanical backdraft shutters to prevent weather ingress when the fan is switched off. Available in three sizes; 800mm, 1000mm and 1250mm diameter. Comes with safety guards and a hard wearing stainless steel impeller. 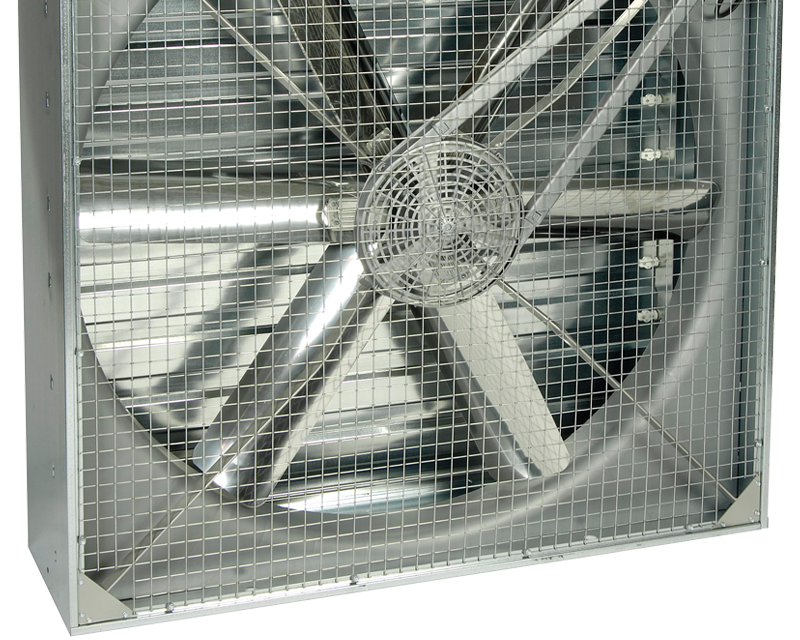 Produces air volumes up to 12m³/s. Includes sealed for life, maintenance free ball bearings, which deliver low noise and vibration levels. Fitted with mesh safety guards and heavy duty shutters to reduce heat loss. Galvanised steel construction, with a specially designed stainless steel impeller, making it extremely hard wearing and robust in any application.